Join AIA Chicago’s Community Interface Committee for a tour of a former run-down pet daycare that was transformed into the non-profit Lakeview Pantry’s first permanent home. 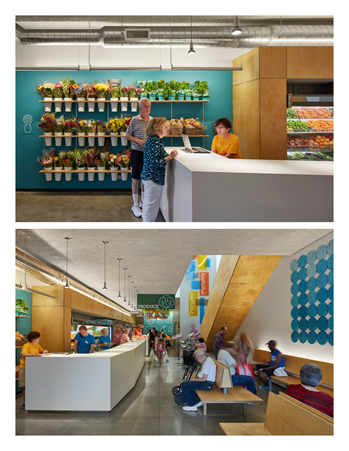 The project, which received the First Place Richard H. Driehaus Award for Architectural Excellence and Contract Magazine Inspiration Awards Grand Prize Award for Social Responsibility, re-envisions a program typology that often carries a negative stigma into having a positive impact on the neighborhood and those served. Attendees will hear from Wheeler Kearns Architects, Lakeview Pantry staff and volunteers, on how the architecture helps create a dignified space for uncomfortable requests, using humble materials and stretching their use to create a simple environment where clients facing difficulty can feel welcomed and safe.